Costa Rica is a nation in Central America, located between Nicaragua and Panama. Its bordered by both the Pacific Ocean and the Caribbean Sea. Costa Rica offers many attractive tourist destinations within its 19,652 square miles. Its also a haven for companies wishing to conduct online gaming, even though this has started to dwindle. In this article, we will be looking at all the legal aspects online gambling in Costa Rica. The Spanish first explored the area in the 16th century. The intense heat, unwelcoming natives, and disease-ridden swamps did little to promote colonization. A permanent settlement was established in the central part of the nation in 1563, and it remained under Spanish control until the country declared its independence in 1821. For 15 years, they were part of the United Provinces of Central America. Once the alliance crumbled Costa Rica announced its independence, and it has remained a sovereign nation ever since. Despite two notable periods of internal strife, it has established itself as a stable force in Central America thanks to agriculture, tourism, and technology. There’s no such thing as the “Costa Rica Gaming Commission.” However, this hasn’t stopped several unethical casinos from pretending to be licensed by this fictional governing body. If you come across a site making such a claim, get away as fast as you can. Buy a business license for $5,000 (which can be renewed annually for an additional $5,000). Pay $500 to cover the legal costs of processing the license. Once these steps have been completed, a person can open their online gaming business and do whatever they like. As long as the nation gets its annual $5,000, they’re happy to look the other way. This has been especially appealing to operators with questionable software or criminal backgrounds, as absolutely no oversight exists. An advantage of having a Costa Rica gaming license is that their online revenue is coming from other countries, the company can also avoid paying taxes on their profits. And when you consider that no anti-money laundering policies exist for online gaming, it’s easy to see why certain elements might be drawn to the country (especially since more than $140 billion annually is laundered through sports betting around the globe). Costa Rican residents cannot be accepted as customers. Local banks will not process online gaming transactions. Since the nation’s banking industry is largely controlled by the United States, opening a corporate account can be difficult. Over the years, more than 400 e-gaming operators have set up shop in Costa Rica. Although the current number only stands at 34. Of this current group, only six have a two-star rating or better (out of a possible five), according to an online casino review site. These online poker sites can usually be trusted to offer fair games and issue payouts in a timely manner. Players have reported numerous problems, especially when it comes to receiving payouts. According to player reviews, these casinos are likely to take your money and never give anything back. If you’re a player with a complaint against an online casino based in Costa Rica, you’ll be disappointed to find no recourse other than to deal directly with the operator. This is due to the fact that the nation has no central governing body to oversee customer problems or ensure that gambling companies are behaving in an honest matter. For this reason alone, any potential customer would be wise to take their business elsewhere. By the end of the 20th century, a billion dollars in annual revenue was being generated by the online gaming industry. Nations such as Antigua were already making a fortune issuing licenses to Internet operators, and interest in such relations intensified when the Internet Gambling Prohibition Act was introduced into the U.S. Senate in 1999. While it was defeated, this bill sent shockwaves through the industry and caused operators from Canada to Israel to start looking for alternate locations. That’s when Costa Rica arrived on the scene. This ushered in a golden age for online operators in the Central American nation. There were no government regulations to worry about, no taxes to be paid, and foreigners were made to feel welcome. The money came pouring in, and Costa Rica earned a reputation as a place where Internet entrepreneurs could enjoy a lifestyle filled with fast cars and beautiful women. Starting in 2000, however, came the decline of the Costa Rica gambling scene. It started when agents from the United States began carrying out arrest warrants in Costa Rica and extraditing those involved in sportsbook operations. This eventually expanded to include online casino operators, and many were nabbed in the supposedly sovereign nation, shipped to America, and charged with various violations under the country’s Wire Act. Then came the passage of the Unlawful Internet Gambling Enforcement Act in the U.S., and yet another crippling blow was dealt to the Costa Rican gaming industry. Companies relocated in droves, and those who stayed found their stocks taking a significant downturn. Individual players were soon targeted, and it all culminated in a raid on the offices of UltimateBet and Absolute Poker by local authorities. 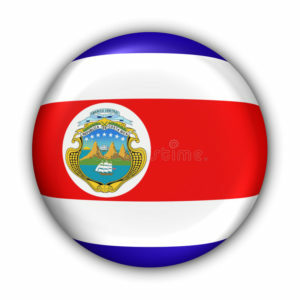 Today, online gambling in Costa Rica is slowly making its way back into the United States in a more regulated form, and this has led some to accuse the nation of demonizing the industry to advance its own agenda. A prime example is the film “Runner Runner,” which depicts the nation’s gambling industry and law enforcement as being awash with corruption. The American Gaming Association threw their support behind the film, holding it up as an example of the dangers faced by American players when they’re forced to gamble outside their home nation. Since online casinos in Costa Rica often target American players, and gambling on mobile devices alone is expected to surpass $100 billion by 2017, the stakes are higher than ever before. A number of industry experts predict online gambling in the United States will be legalized by 2020. As a consequence, there are just as many insiders who expect the Costa Rican gaming industry to be out of business at the same time.